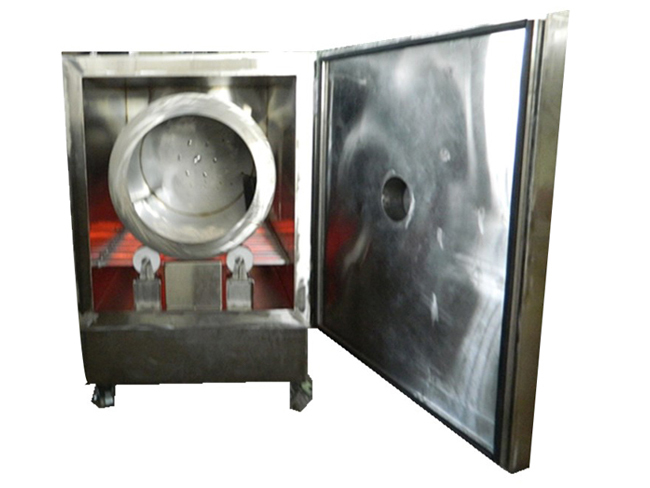 WS-2014 Horizontal Electric Heating Furnace is a baking equipment heated by electric heating method. It is heated by electric heating tube, rotates inner gallbladder and exterior insulation principle, so as to improve the heat transfer effect, shorten the heating time and make the product heating more uniform. The equipment has the advantages of simple operation, high production efficiency and stable performance. It is suitable for baking pigskin, flower gum and other foods.